I thought I would share pictures of this timepiece that set me off on a journey (or perhaps madness) of wearing and collecting timepieces. 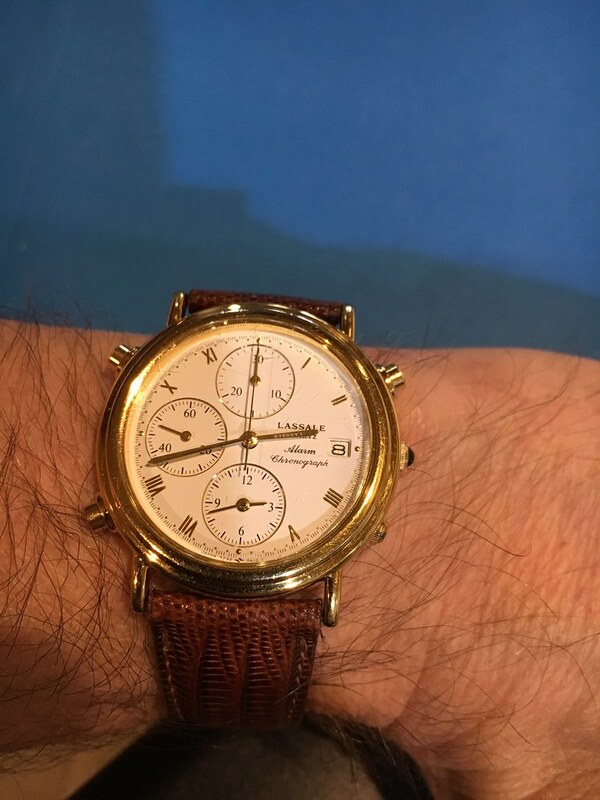 I have always admired watches from afar, and in the early 90's when our kids were young and we had very little spare funds, my wife purchased for me this Lasalle for a birthday gift. Back then she paid around $400 (a lot of money for us back then) in Macy's or similar mall department store. 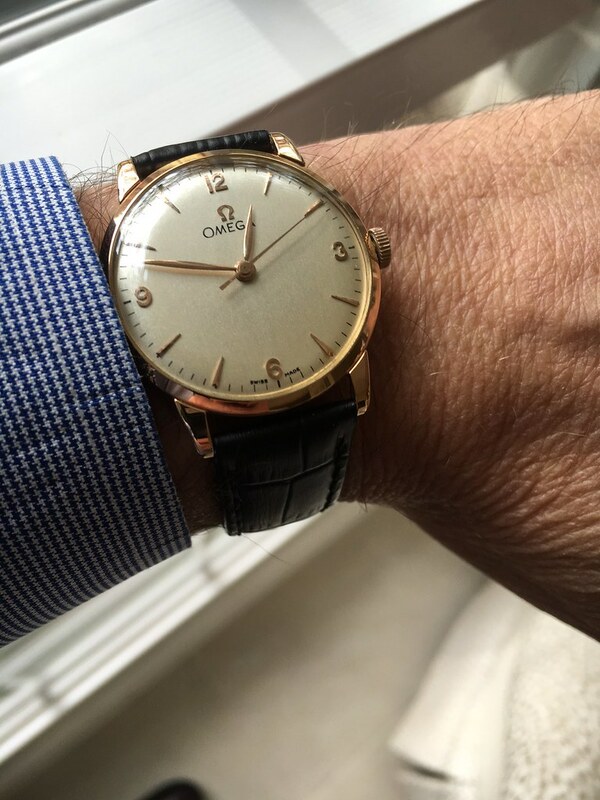 I believe the Lasalle was like an upper tier Seiko (anyone with info on this please chime in) at the time. I wore the watch for 10 plus years as it was my only watch. It has a quartz movement and I replaced the batteries a few times. Then about 10 years ago it just stopped working. I don't know how long it was not working as by then the madness kicked in and I acquired my first mechanical watches and it received very little wrist time. I brought it to my watchmaker for another battery last year (as I will never get rid of it irrespective of what timepieces I acquire) who told me the quartz movement was shot. I did not know quartz movements died but like anything mechanical even if electric I suppose it could bite the bullet. He said he could replace the movement, which he did and now runs as good as new. It really is a cool watch with the complications of a date, chronograph and alarm. It looks to be about 38mm. While I have been fortunate (really blessed) to acquire some cool timepieces, this one will never leave the watch box. Same for my grandfathers Omega that I have. 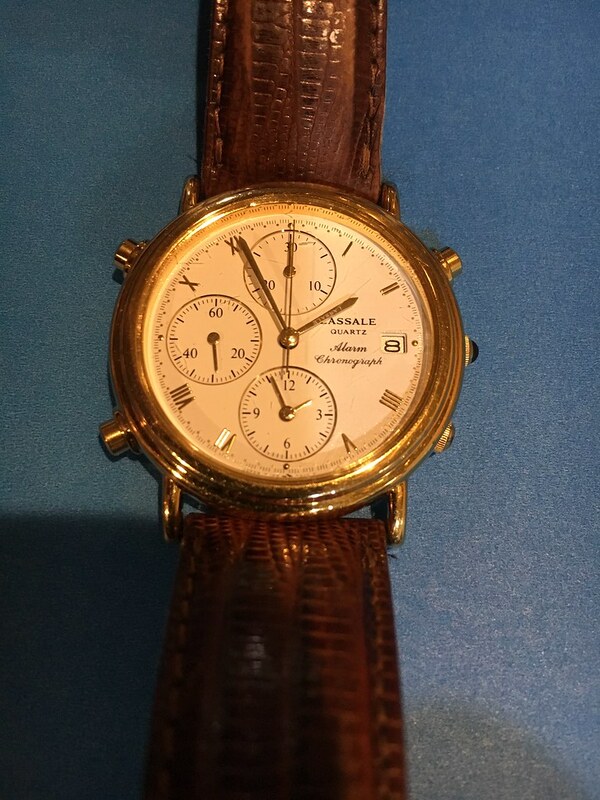 Feel free to share any similar experiences and as noted if anyone knows anything about these Lassale watches please chime in. Thanks all. And a picture of my grandfather's Omega that I have the original paperwork on. He purchased it in 1956 on trip back home to Sicily. When I got it about 20 years ago it did not run, and was on this cheezy Spidell band. I had it restored and serviced. A manual wind 18k gold, very cool vintage watch.